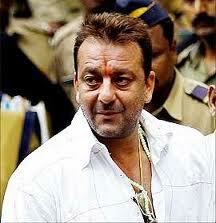 The Supreme Court of India in its recent judgement found film star Sanjay Dutt guilty of possessing automatic weapons of prohibited bore without a valid license and sentenced him to five years imprisonment. It also transpired that the weapons had been delivered to him by notorious gangsters behind Mumbai blasts of 1993. Indeed, it was a tragedy that had claimed 257 lives and 713 persons were injured and maimed. There was unimpeachable evidence of violation of the Arms Act and under TADA the Court had no option but to impose the minimum sentence of five years imprisonment. Indeed the convicted man,Sanjay Dutt had already spent 18 months in prison during pendency of the case and was entitled to a remission of that period. Thus, now the fact of spending three-and-a-half-years in prison stared him in the face. Here come his friends and sympathizers opening a campaign asking the government to grant him pardon. It has led to a debate in the society whether it is a fit case for pardon or is just propaganda for the cause of terrorism, if it could be called a cause. Why did the matter suddenly spring up and made headlines in the national dailies. The electronic media was not to be left behind. Times Now, an English news channel, stole the limelight by fielding Justice Markandey Katju, Press Counicl Chairman and a retired judge of the Supreme Court of India , Mahesh Jethmalani, an eminent advocate of Mumbai and Delhi who were later joined by Majid Memon, an advocate from Mumbai. The immediate provocation to hold a TV discussion with the channel editor, Arnab Goswami as the anchor was a letter written by Justice Katju to the governor of Maharashtra, K. Shankar Narayanan pleading for pardon for Sanjay Dutt because he had committed the crime two decades ago and is now a reformed man doing social service. Senior advocate Mahesh Jethmalani opined quite articulately that Justice Katju’s plea of sympathy for Dutt, a convicted man now, was misplaced and misconstrued. He brought out a legal point that the governor of a state had neither authority nor legal powers to grant pardon to the convict who was sentenced to a prison term for violation of provisions of the Arms Act by a TADA court. Justice Katju cited Article 161 of the Constitution of India under which the governor enjoys constitutional powers that cannot be curbed or over ruled by other Acts of legislatures and, therefore, he had petitioned the governor. I must appreciate Jethmalani’s erudition and insight into the constitutional law that he promptly cited Article 162 of the Constitution of India that the powers of a governor to grant pardon are restricted by this over-riding Article applicable to cases of violation of the Arms Act. Justice Katju was gracious enough to concede the point to Jethmalani and said that now he would write to the President of India making out a case for pardon for Dutt. Let us leave aside the legal aspects of the case and take up the social repercussion as an offshoot of the grant of pardon or otherwise to the so called “bad boy now turned a good boy”. The laws are enacted by legislatures for smooth governance of the society. The prosecution brings criminals to courts of law with the assistance of police, and judiciary decides on the question of conviction or acquittal, based on the evidence on record. After the judicial process is over, the convict is given a chance to appeal to the Head of the State for grant of pardon that is decided on merit. The Head of the State takes many factors into consideration while making up his mind whether the particular case deserves to be pardoned or not. What social impact will the ultimate decision have? After all, it is the social system that has to be protected. In a democratic society all citizens enjoy Equality before Law. The age-old maxim goes thus: However high one may ever be, the law is above him. It is clear that the law of the land treats one and all, be he an actor or a labourer, as equals. Had there been an ordinary farmer or a labourer in place of Dutt, will the legal system and the bigwigs therein go all out to make out a case for pardon and present it to the Head of the State? If not, why should there be a special treatment given to actor? As far as reviving Gandhigiri is concerned, the convict in question did his job as an actor and was paid for it. Like a farmer reaps what he sows, an actor should get a reward or a punishment for an act or omission and he does not deserve a special treatment. There is no need to raise brouhaha and grant the convict pardon. Have we gone to the bereaved families and ascertained their views? Many a family lost its bread winner and now lives in penury. The loved ones became victims of acts of terror and the 34-year-old man, Sanjay Dutt was no innocent kid then that he knew not impact of his acts and omissions. It is on the Mumbai police’s record that Sanjay Dutt was hob-nobbing with notorious terrorists, and was indirectly instrumental in causing a trauma to fellow Mumbaikars. Does such a man deserve pardon after his conviction by the Supreme Court of India? Lastly, has Dutt expressed regrets for his role in the serial bomb blasts? No, none of the terrorist gangs expressed remorse about their role in that sordid act. If they are not sorry for whatever role they played in executing their devilish designs, why should some social activists fall head over heels to seek pardon for the convicts? Frankly speaking, there is no cause that merits attention of social and political workers. Let the case rest where it is now. The article involves a lot of stereotyping. For someone marking me out as a Congress puppy, here is a small background.I have never been a huge fan of democracy, and I spent my early childhood dreaming of the day when I will become dictator of the country and set this country alright. As a young boy, I was convinced that democracy is a failed notion, and the sad state of the country can be attributed by a great deal to the electoral pleasing politics played by leaders. I was probably agitated by the Rajiv Goswami incident, despite being only seven years old, and seeing pictures of protests all over the country over the Mandal recommendations. My fertile imaginative mind worked in full swing back then - I wanted to take seize power from the useless leaders, who had sent the country to dogs, and create a new India, which would be corrupt-free and meritorious. There would be no place for reservations or minority appeasement I would rule the country with an iron-hand, giving full chance to the deserving and rooting out the non-meritorious. Anyone disputing my calls would be severely punished. In short, I would wield absolute power, and use that power to make India what it historically was - the bird of Gold (sone ki chidiya). To put it otherwise, I was a right winger. However then I grew up and was able to argue things on my own, and come to the conclusion that democracy, while being the far-from-perfect model, is probably the best one given India’s position as a socially, culturally and religiously diversified society. The movie was fabulous. Or I have heard it was. The spoof, being currently played out in the aptly named Ramlila Grounds, is anything but. A 74 year old apparently senile man who plays the major part in the new spoof, playing both the title parts. On the one hand, he is a tender voice against the corruption and the evil government (Anna), and on the other, he is the king who is holding the government, and the people of India to ransom through what can at the very modest, be termed blackmail. A lot of people not supporting Anna Hazare's movement have been doing so because they take exceptions to the method that he is taking. A lot has been written about it, and I will therefore bypass that point and discuss something else, which is probably much more far reaching with effect to India as a country and a heterogeneous society. I have basically two objections to the Anna Hazare demand for corruption - other than the one about the method. Both of them are fairly controversial and I am ready for a debate on both: One has to do with the need for corruption, and how people are being entirely hypocritical while ganging up with Anna, while the second objection, which I am going to discuss first, is the impact of the agitation. Firstly, Context: India is a truly remarkable country. Growing up,our books described India as "unity among diversity." I was not very sure about what the expression meant, and while the unity part might still be up for discussion, there is no doubting the diversity of the country. It is perhaps amazing that India is one country. There is no other country with the kind of diversity that India has, and at such different levels. Most of the states are separated on linguistic lines, and often have their own culture. No other country has the kind of linguistic and cultural diversity that India has. Spain is the only other country that comes to mind, but it has had its history of civil wars, and the peace existing in the country is very fragile, as the occasional brawls between Barcelona and Real Madrid in football often proves. The Catalans hate Madridistas, and the less said about the autonomous Basque county, the better. And in Spain, there is no divide across religious and racial lines, unlike in India. Belgium is on the verge of breaking up only because of the linguistic issue. India, moreover, also has a number of significant minority religions in different states, and within Hinduism, there is further subdivision across castes and sub-castes. All in all, the heterogeneous structure of India is a very thin fabric, and the fact that the fabric is holding up fine so far is a testimony to the strength of the country. In every political system, there are two extremes across the political spectrum : the far right and the far left. The right wing is generally more conservative, more business-friendly, less individual freedom and more nationalistic, while the left wing is more radical, more socialist, and more individual freedom. The right wing is also more polar, and tends to create economic and social classes, while the left wing seeks to abolish them. While there are many differentiating factors that separate the two extreme positions, they can be summed up thus: The far right believe only what they do is right, while the far left is of the view that what everyone else does is wrong. Arundhiti Roy and her paranoia about everything is an example of far-left activism, while those of the temple and cocksureness about the location of the Ram Mandir is far-right. As a consequence, an extreme right government will probably do or seek to do a lot of work in its own way, but at the cost of freedom and probably subversion of certain elements, while a far left government will probably regress, unless the far left itself takes the far right position, for the two positions are not as different as they seem. Animal Farm or the USSR government would probably be good examples. In the Indian context, far right would probably mean pushing reforms and promoting Indian nationalism and Hinduism, probably at the cost of the minority religions and/or the "lower" castes. The Gujarat government, which has ensured a Vibrant Gujarat, but is also charged with abetting the Gujarat riots and failing to ensure inclusive growth, is an example of far-right, while the erstwhile West Bengal government, which changed the face of Kolkata from that of Hema Malini to that of Jyoti Basu, is an example of far-left. The West Bengal growth, or the stagnation, has been pretty much inclusive. Everyone has come to the same level of poverty. In between, you have the different left-of-centre to right-of-centre combinations and different governments in India can possibly be mapped on the axis. In the Indian context, BJP is the right wing party, Congress is the centre party, while the Left Parties are well, left parties. Similarly, most voters fall on either side of the centre: the far-right to far-left depending on your political ideals, and your moral and religious values. The right winged voters, who had been identifying themselves with the BJP for so long, are suddenly lost, for the BJP has regressed remarkably as a party since its 2004 loss. The loss was totally unexpected, but even its most adherent critics would not have predicted the rudderless ship it now resembles. The name of the party has been planned to be officially changed to Bhartiya Joker Party, if reports are to be believed. But I digress. Secondly: Impact: The failure of BJP as a party, has alienated the right wing electorate of the country. The right wing electorate generally belong to the Hindu, upper and middle classes and the non-Schedule Castes. They are generally well educated, and are active on social media. They are generally against reservations and pro-meritocracy. A large number of these right wing electorate who feel let down by the BJP do not really care about the temple, but about ensuring a transparent society, where everything works well. Most of them also support Narendra Modi, despite him being implicated in the riots, for the reason that their only concern is development, and they feel that no price is enough to achieve it. They are pro-reforms, and believe that corruption is the biggest threat to India. They do not want to understand the viewpoint of the other side, and are adamant that their demands, and wants are entirely justified. However, despite being sizable in number, the right wing voters are particularly known to skip election day as the size and heat of May sun gets to them, which probably explains why BJP lost the two elections in May. On the other hand, the Congress government at the centre has made no overtures to them. In fact, the government has taken a decisive left-turn, and Congress has changed from a centralist party to a left-of-centre party. The Congress public motto of inclusive growth does not hold much weight with the right wing voters. Moreover, the reservation issue is another key thorn. This, and other policies of the government, has led this electorate to believe that Congress is not for them, which is probably true. And so we come to the issue of corruption. The right wing needs an outlet to the rage at the inability of BJP to launch a proper attack on the Congress. Baba Ramdev tried to capture that space, but his pro-religious antics were never going to cut much meat with the mainly secular right wing, middle class electorate. Enter Anna Hazare, and the right wing electorate has finally found a messiah to deliver them from evil. They finally feel they have an option to partake in the decision making process, which had been taken away from them by the left and centralist leaning Congress governments. And the issue of corruption has managed to unite every right-wing voter into one under Anna Hazare, and makes them feel empowered. So this right wing electorate, in true right wing style, has made a draft believing only they can do a great job of it, and are trying to impose it on the government. Why is their version better than the government? Who says seven years imprisonment is not enough punishment? Why should ministers suffer more punishment as compared to the common man? Why shouldnot bribing be made legal? There can be many questions that can be asked from them. However, being the burning issue of corruption, which most people believe to be an illness, the movement has also found support with some of the traditional central and left-wing supporters. That it is basically a right wing movement can be made out by the fact that masses of Scheduled Castes, Muslims and many other societies have stayed away, fearing backlash. Thirdly: Why is it bad? : Historically, whenever the right wing has emerged enmasse, it has often resulted in historical tragedies. The frenzy that is generated by such movements often prevail everything else, and creates absolute power. Moreover, right wing also means giving more power to the majority, and hence can totally alienate minority. A left wing uprising, while theoretically equally potentially damaging, has atleast equality as its basic tenet. A right wing uprising on the other hand, increases the diversity.In a country like India, this can lead to dangerous consequences. The Gujarat riots united the Hindus to vote for Modi, just like German nationalism united Germans under Hitler, and we all know how that went. I am not saying that Hazare is comparable to either of the two, but going forward, if the present movement is a success, the rejuvenated right wing can plan further uprisings, to impose their will on the government - through democratic or undemocratic means - and we never know how that will impact India. Why should a few people who are up there, and have conjured up a draft of the bill, be allowed to hold the government hostage? Who gives them the right? It is not a matter of them thinking what they are thinking is right, it has to come from the people. And the people choose the Parliament. If people like Anna Hazare and Arvind Kejriwal really want to do anything, they should take the right path and fight elections. However, they know they will lose if they stand in elections, and hence have taken unconstitutional ways to hijack the government into accepting their demands. It does not matter if their demands are right or wrong? The thing is, who are they to decide that their demands are right? This right wing tendency of always being right needs to be stopped as soon as possible, else it can have grave consequences. As mentioned earlier, India is a great country because the social fabric is holding up. With a rejuvenated right wing, if the revolution now starts, I see the fabric stopping. Hence the revolution must fail. I am not against corruption. I get my Gas connection illegally, I used to drive a car when I did not have a driving licence and I drove when drunk. I save as much tax as I can, some of it unethically. I give bribe to the ticket checker when travelling on a WL ticket in train so that I can reach home earlier. I dont like standing in lines for filling up government forms and hence bribe the government official to allow me my permits. I love corruption as it makes my life easier. I am not sure we Indians are ready for a honest government as this will mean making ourselves honest. So Mr. Hazare enjoy the limelight while people forget about lying on their CVs and putting kids through schools via bribes. In short, the Indian right winger is a hypocrite, who is always ready to blame the system for his vows. And it is exactly these people who should not be at the forefront, for it will make India another Animal Farm. Hence the revolution must fail.